We are a family run business established in 2001 and believe in sustainability, affordability and working with environmental issues. We have pride in our work and are passionate about offering a great service and the best quality workmanship. We believe passionately in protecting and maintaining our environment for present and future generations to enjoy and this commitment is reflected in the quality of our work. Individual old buildings are just that - highly individual - and require appropriate specialist advice to achieve the best solution in each instance. There are no standard answers to issues affecting them. All of us who have a historic building in our care have a responsibility to the building and its past and future generations. 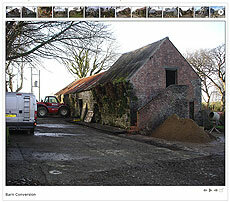 We believe that all historic buildings are important, however small or apparently humble. We are members of The Guild of Master Craftsmen and you are welcome to contact them if you wish. Based just outside of Narberth, Pembrokeshire, we cover the whole of Pembrokeshire, West Carmarthenshire and South Ceredigion. 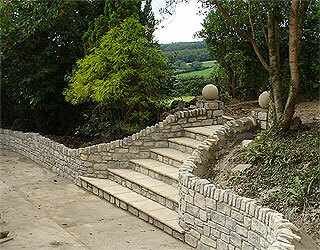 We offer a full range of services, please go to our ‘Building Services’ page for further details. We are happy to come and see you about your requirements and quotes/estimates are available upon request and are valid for 12 months.